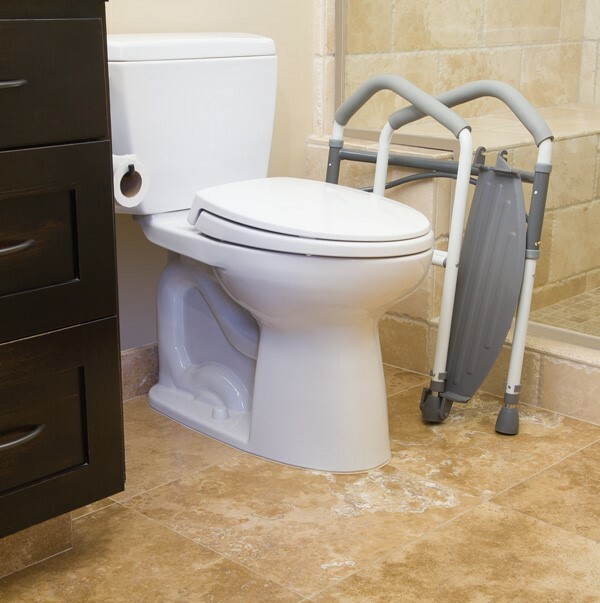 Versatile toilet frame is compact enough for home, yet durable for hospital or nursing home use. 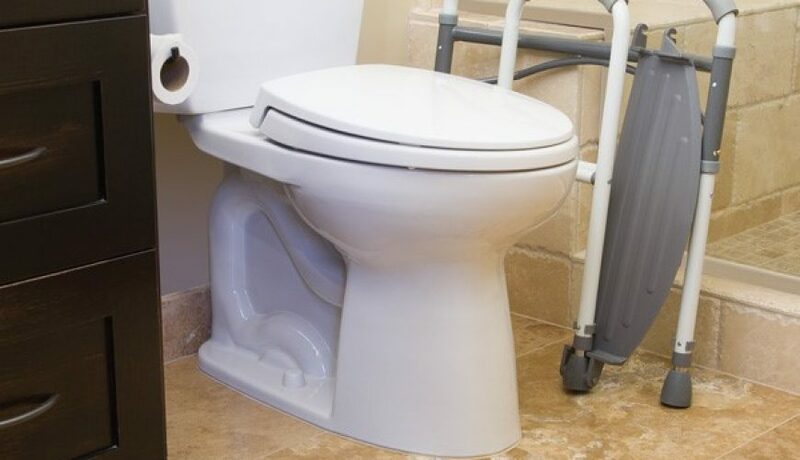 Structure of the frame fits around the toilet bowl, unlike other toilet frames that need to be attached directly onto the toilet. 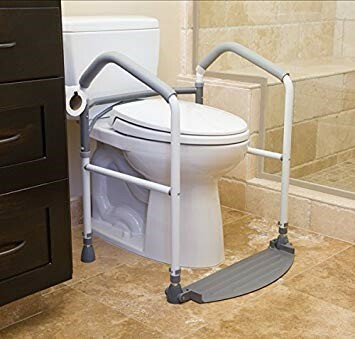 Incorporates a single folding foot paddle, which folds down and easily attaches to the frame’s leg, making for a solid supportive structure. 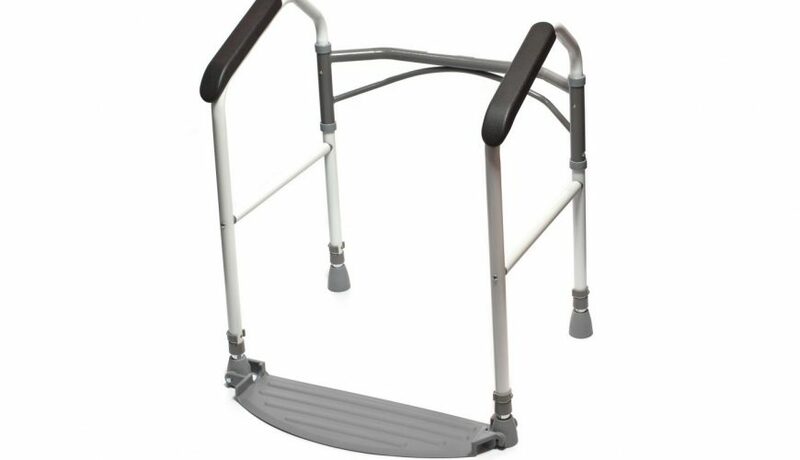 Foot paddle lays flush on the floor so that the weight of the user standing on it holds the frame firmly in place. 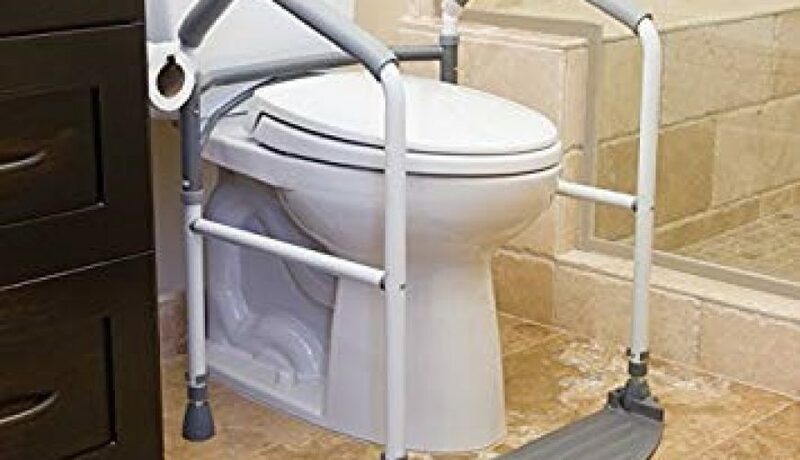 Folds easily, allowing it to be transported or stored when necessary. 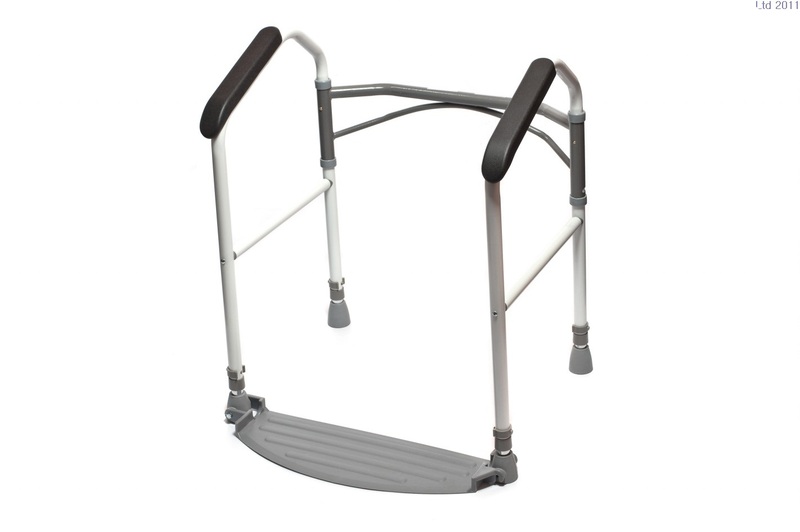 Frame is made of powder-coated steel with soft foam cushion hand grips, rubber feet and durable hard plastic foot paddle. Height easily adjusts from 70 to 89cm. Measurement between feet is 50cm and overall width is 61cm. Weighs 5kg. Completely assembled for quick installation.